I have decided to release my MVVM framework for Windows Store Applications. MVVMBlocks is a very easy to use framework for implementing the MVVM pattern in your applications. 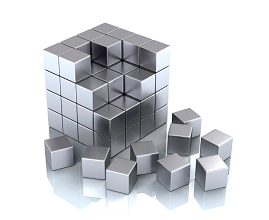 I have been using the framework successfully for quite a while in my applications and it performs well. I have put a full page together to explain how to implement the framework in your applications along with some example Visual Studio 2013 solutions. MVVMBlocks is available as a NuGet package and can be installed from there from within Visual Studio. The NuGet page for MVVMBlocks can be found here. I’m planning on releasing the source code to the framework, so you can see how each of the MVVM framework elements have been implemented. This will also enable you to make any changes you see fit to the framework. As soon as I have released the code, I will post an entry with details to where you can download/view the code. I would be really pleased to hear from you if you decide to use the framework. If you make any code changes, I would be more than happy to hear about these and potentially implement your changes in future versions of the framework. Having a long weekend enables me to get things done that I otherwise wouldn’t have time for. One of the things I’ve wanted to do for a while is create a Virtual Machine with Windows 10 on it, so I can use Windows 10 and also start looking at application development for it. I’m glad to say that I’ve now had the time to create the virtual machine and it went fine. I thought I would write this post to detail the steps I took to create the VM. You will need to download the Windows 10 Insider Preview ISO which can be found here – You will need to be signed up to the Windows Insider Programme before you can download, but that’s not a lengthy process at all. I have used VMWare Player Version 7.1.0 build-2496824 to build the Virtual Machine. Follow the steps below and you should end up with a working Windows 10 virtual. From the VMWare Player menu, select Create New Virtual Machine. You will then see a dialog box similar to the one below. Browse to the location where you saved the ISO file and select it. Then click on Next >. 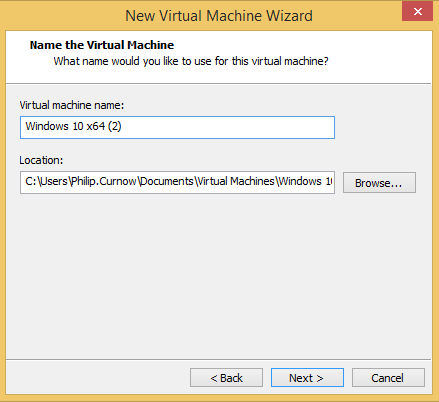 Type in the name you would like to give to the VM and select the location where the VM files will be stored. This should look similar to the settings below. Again, click Next > to go to the next page of the wizard. 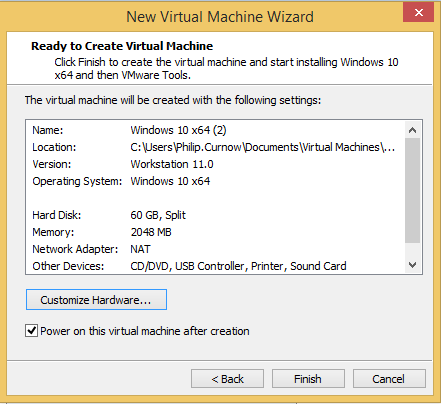 This next page allows you to further customise the VM settings. The most I did here was change the amount of RAM given to the VM. I’d recommend giving the VM as much as you can. Obviously, don’t give the VM the same as you have in the host machine. Click on Finish and the VM should start to be created. 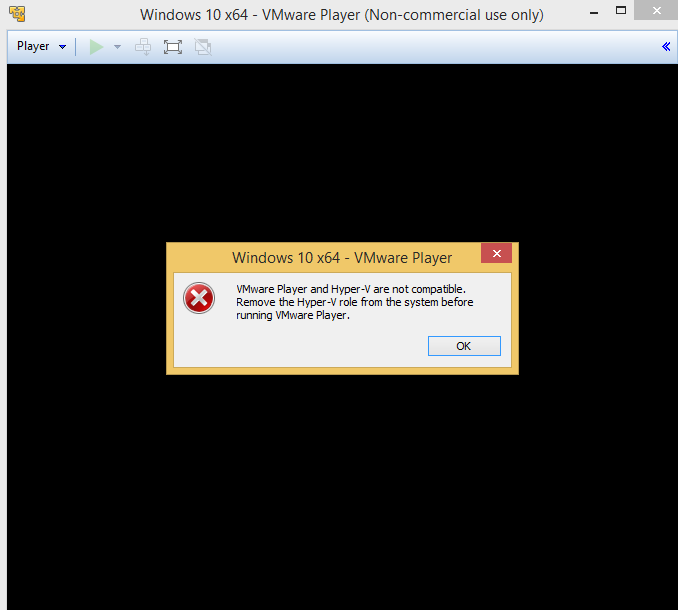 When I first tried to create the VM, I received a VMWare and Hyper-V compatibility error as shown below. To enable Hyper-V simply issue the command bcdedit /set hypervisorlaunchtype auto at the command prompt, again run this as administrator. When the Windows 10 install starts, you should see similar to the following in VMWare Player. For me, the install took around 35 to 40 minutes with a couple of reboots. Once the install is done, make sure you install VMWare Tools in the same way as you would for any other Windows VM. 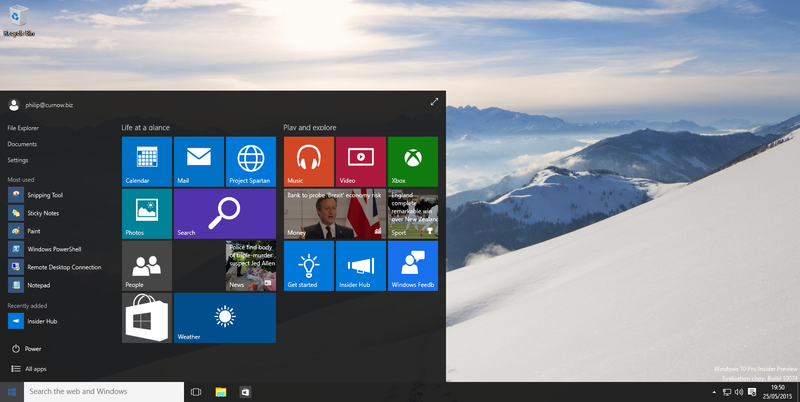 You should now have Windows 10 happily installed and running. 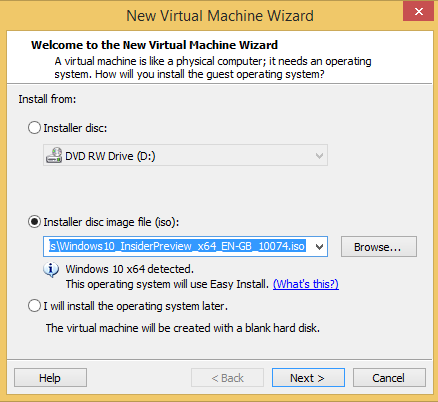 I’m even writing this post using the VM and the Spartan Browser! I quite like what I have seen so far. If you have come from Windows 8.1 you should have no problems finding your way around. I think for people who have never used Windows 8.1 it will be a bit of a shock to the system, but maybe not as much as Windows 8 and to a lesser extent 8.1 would have been. My plan now is to install Visual Studio 2015 and start looking at application development, this really has been my main motivation for creating the virtual. As you can see, creating a Windows 10 virtual is pretty much the same as any other, the only little gotcha I had was Hyper-V, but this was easily solved. As I start to get into Windows 10 and application development, I’ll blog further about how I am getting on. I hope you find this post useful, and if you create yourself a virtual I’d really like to hear what you think of Windows 10. My Mum and Dad have a couple of computers at home, a laptop that my Mum uses for email and browsing and a desktop computer my Dad uses for word processing. Not long ago the laptop did have to be replaced, after 7 years of use it had decided enough was enough and just refused to power on. For the cost of a new laptop it was better to replace it and they got a much higher spec machine which they are happy with. Whilst working from home, I had a call on the Friday morning from them saying that the desktop machine wouldn’t power on, well the power supply fired into life, but “the blue light on the power button isn’t lighting up”. I couldn’t really comment on what the problem was at the time, as there wasn’t enough information to go on and I didn’t just want to say “it sounds like its had it, time to buy a new one”. To be honest, the machine is about 4 years old and if it had been used constantly it could well have decided enough was enough too and it was time for a replacement, but its not a heavily used machine, so I wasn’t convinced. Saturday morning arrives and I go around and have a look at the machine. My mum had looked up the cost of a new machine and thought that a £300 machine would be alright for them to buy. The spec looked pretty good and would have been more than enough for their needs. I told them not to be to hasty on going out to buy a new one, lets see what can be done with this one first. On firing up the machine, things did kick into life, power supply whirring away and the processor fan spinning away, but as they said, no blue light on the power button. I was surprised on how little dust was in the machine after 4 years, mine is a dust hog and requires a good clean every now and then. In a previous couple of jobs, part of my role (apart from being a programmer!) was to sort out faulty PCs. Having been a consultant for the last 8 years I don’t get the chance to do this much any more. Time to see if I can get it working. Here are the things I looked at. All cables seated properly on the motherboard? – Yes! Anything showing on the monitor? – Sort of! it briefly has a signal then loses it. Failing the POST (Power On Self Test)? – I don’t think its even getting that far! Remove the RAM and switch on, has the machine beeped away complaining? – No. I wanted to see at this point if it was doing the POST. Put RAM back in and take out CMOS battery, did it fire into life? – Oh yes! The “blue light” shone brightly and the machine booted, complaining that it had lost its settings. A quick press of F2 to use the defaults and away it went. Happy with that I went off for a cup of tea and told Mum and Dad it was time to spend some money, not the £300 they were preparing themselves for, but a couple of pounds on a new battery. 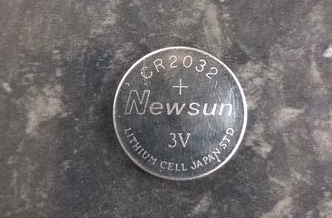 A quick trip to B&Q and £2.50 spent, the battery was put into the machine and all is well with it. I think they were surprised that something so simple could cause all those problems, until I explained why it was there and what it was doing. It just goes to show that with a little playing around and running through a mental check-list of things to try, its worth spending the time trying to fix what appears to be broken. 20 minutes spent with my hands inside the machine saved them £297.50, now that’s got to be a good 20 minutes spent!